Dr. Shillingford, MD, PA, is a general surgeon who specializes in advanced laparoscopic and obesity surgery. He is board certified by the American Board of General Surgery, has the distinction of being a Center of Excellence surgeon, and is certified in daVinci Robotic Surgery. Dr. Shillingford performs bariatric surgery (including gastric sleeve, gastric bypass, lap band surgery, and revisional surgery) and general surgeries (including hernia surgery, cholecystectomy, appendectomy, colectomy, polypectomy, and other gastrointestinal surgeries). Recently, Dr. Shillingford has taken on the title of Program Medical Director at Northwest Medical Center’s Center of Excellence for Bariatric Surgery, one of a select few hospitals in South Florida to achieve such recognition. Dr. Shillingford believes strongly in keeping up with the latest advances in technology, such as robotic assisted surgery, to provide the best possible surgical and recovery experience for his patients. With over 4,000 surgical procedures performed, Dr. Shillingford has demonstrated he is a leader in his surgical field. 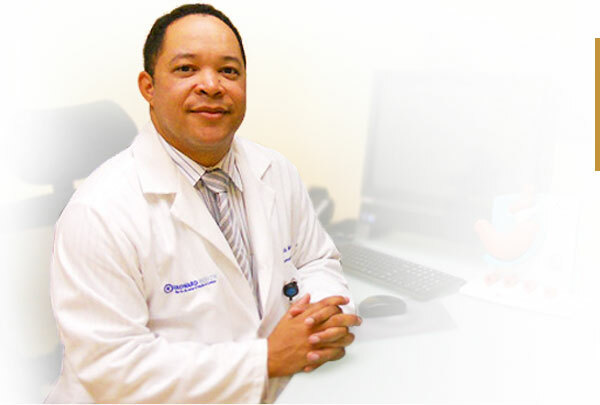 Dr. Shillingford began his academic career with bachelor’s degree in Biology at the University of Michigan, and graduated from the University of Michigan’s Medical School in Ann Arbor on a medical school tuition scholarship. He completed his residency in general surgery at the University of Maryland Hospital in Baltimore, Maryland, followed by a fellowship in advanced laparoscopic and obesity surgery at the Cleveland Clinic in Weston, Florida. He is a member of the American Society for Metabolic and Bariatric Surgery (ASMBS), the American Medical Association, the Society of Laparoendoscopic Surgeons and the Indian American Physician Association. He is also a fellow of the American Society for Metabolic and Bariatric Surgery (ASMBS). In recognition for his expertise in the fields of general and weight loss surgery, Dr. Shillingford has been proctored by the Realize Gastric Band, Allergan and Covidien Companies. He keeps himself up-to-date with the latest advances in surgical techniques by attending multiple scientific meetings and training programs to learn and implement new and improved techniques and materials for the best of his patients. In addition to his practice, he also has a keen interest in research and has participated in various projects, including the investigation of hormonal receptors and psychological effects of overeating. To learn more, see Dr. Shillingford’s article about Sleeve Gastrectomy. Dr. Shillingford has operating privileges at West Boca Medical Center, Coral Springs Medical Center, Northwest Medical Center, North Broward Medical Center and University Hospital. He performs inpatient and outpatient bariatric procedures at Northwest Medical Center's Center for Excellence in Bariatric Surgery, at Coral Springs Medical Center, and at other local South Florida hospitals to provide the best possible experience for his bariatric patients. Wherever he performs surgery, he is dedicated to providing state-of–the-art care with empathy and concern for the comfort and well-being of his patients and their families. In addition to performing bariatric and general surgery, Dr. Shillingford’s Medspa practice also offers Botox, Juvederm, Kybella, and Voluma fillers to patients seeking to improve or enhance their skin quality, which is often the case after weight loss following bariatric surgery and for patients in general who are seeking cosmetic services. In his free time, Dr. Shillingford enjoys spending time with his family and loves outdoor activities including cycling, paddle boarding, surfing and coaching his son’s soccer team.